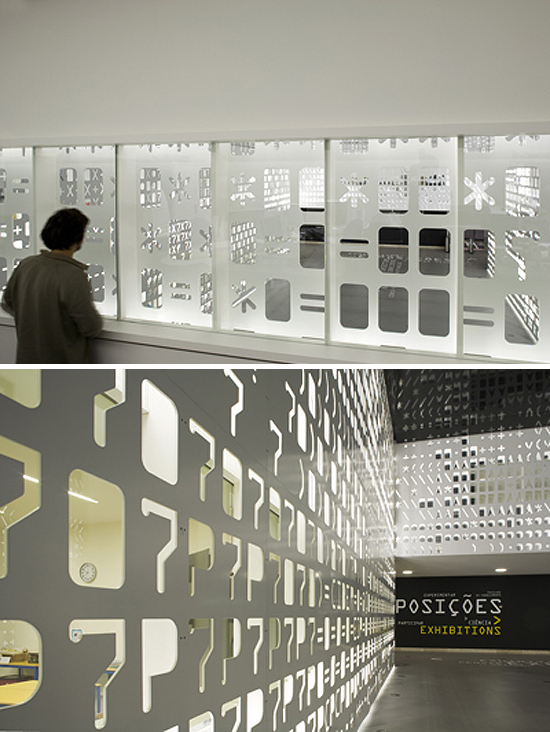 The Pavilion of Knowledge in Lisbon is an interactive science and economy museum. The design firm P-06 Atelier, in collaboration with architect João Luís Carrilho da Graça, created a “skin” with a state of the art touch transforming the space into a playful and evocative landscape, employing a perfect mix of bold graphics, tactile patterns and typography. The moveable walls have the American Standard Code for Information Interchange cut out of them as an analogy for the museum’s intention of sharing information. Through the different sized stencils, both noise and the white LED light are filtered differently at different points of SKIN. I’d love to see this in person. Looks like a great effect. 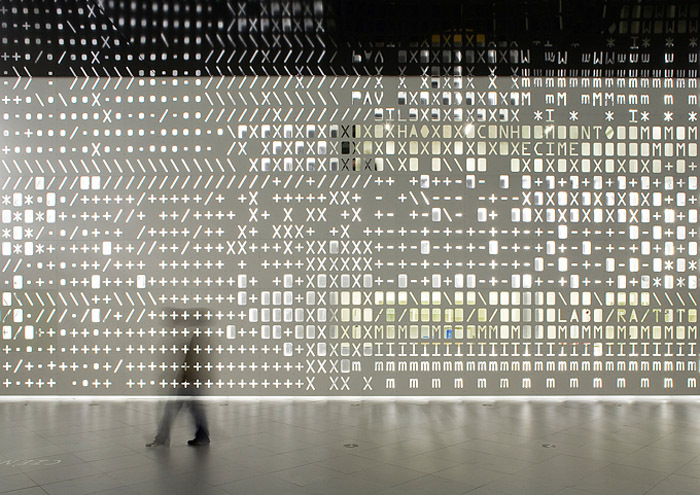 This entry was posted in Architecture, Graphic Design, Industrial Design, Interaction Design, Just Plain Cool, Light. Bookmark the permalink.